Once upon a time there was a brave hedgehog capable of crossing any road without being run over by a car. But his bravery turned him reckless. His parents always warned him, “Look right and then left before crossing any road!“. But one day, he went to cross the motorway and forgot to look right and left and a car ran over him. 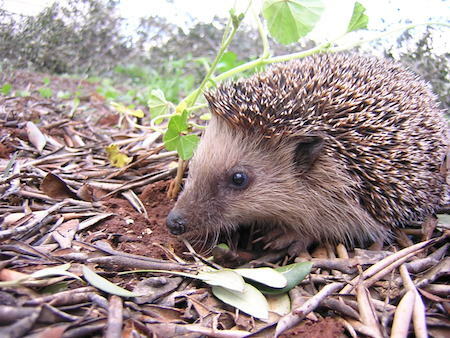 He lost most of his quills in the accident, and only had three left, so everybody started to call him “Baldy”. From that day on, “Baldy” never crossed the road without looking both ways beforehand.